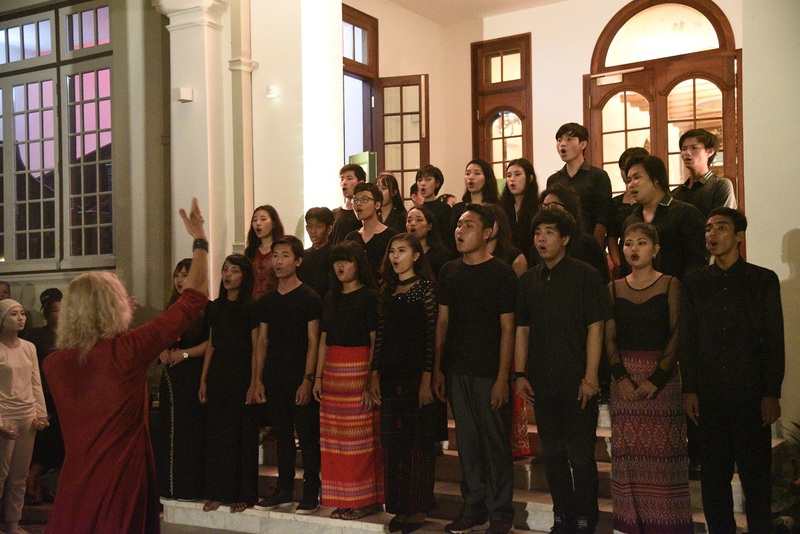 YANGON- the evening of the 8th of June. 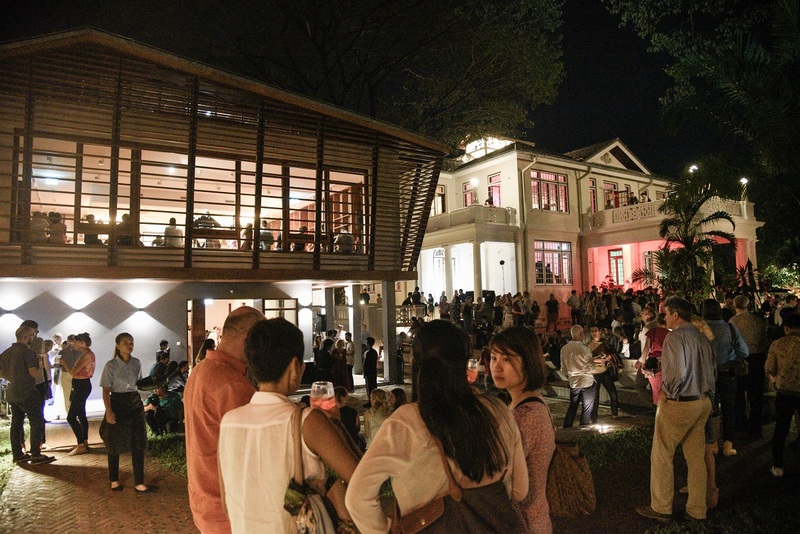 For the past 18 months architects, engineers, technicians and hundreds of craftsmen have renovated the old Goethe Villa from the ground up and have added three new buildings housing the library, auditorium and cafeteria. 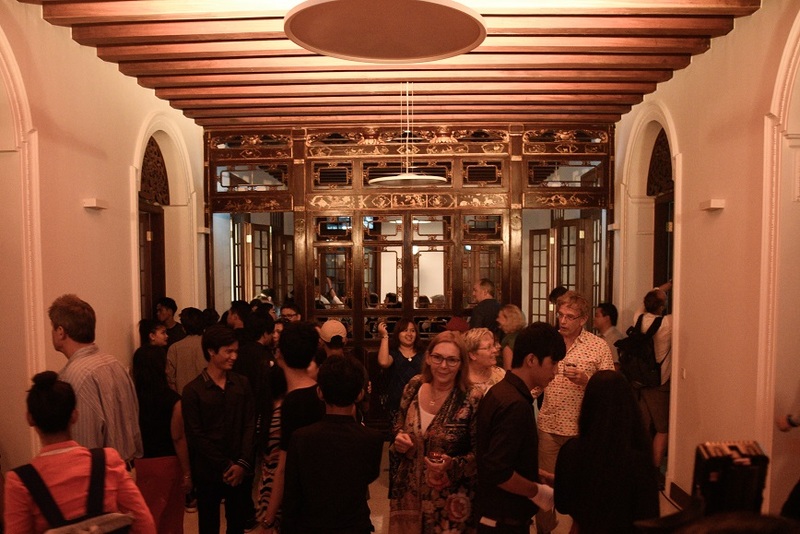 The result is a German cultural centre of a kind rarely found anywhere in the world. 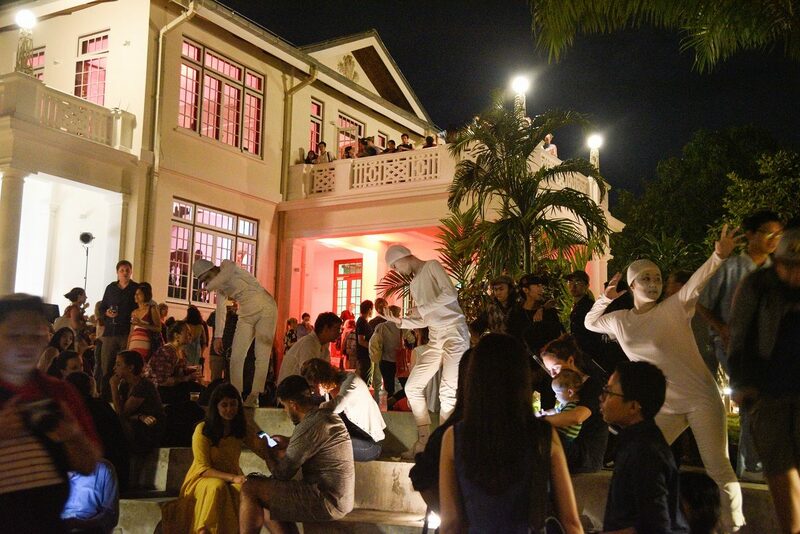 In effect, what ensues thereafter is an ‘earth-shaking’ event like no other to inaugurate the new and improved Goethe Villa. 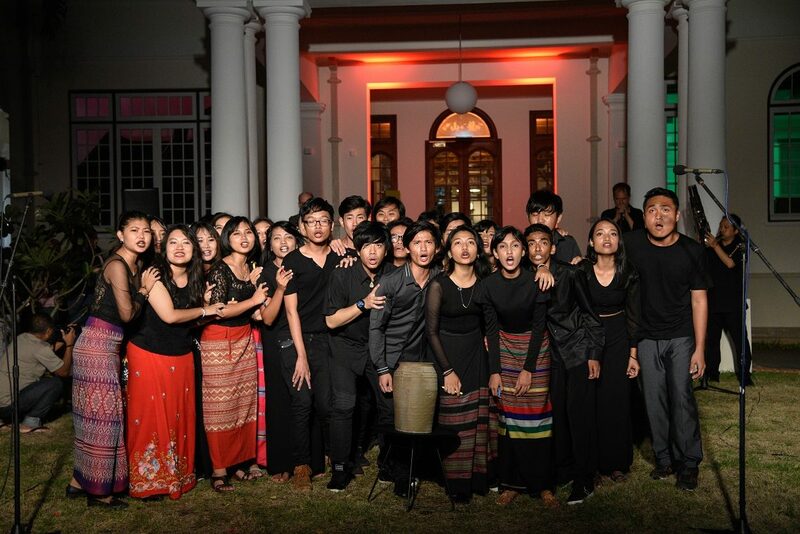 © Thet Htoo Staying true to our promise, the evening served a villa that was vibrating with sound, light and movement in every room and space of the buildings, as well as the surrounding park, transforming every floor into an inimitable stage fit for the many international artists who came to perform on this special occasion. 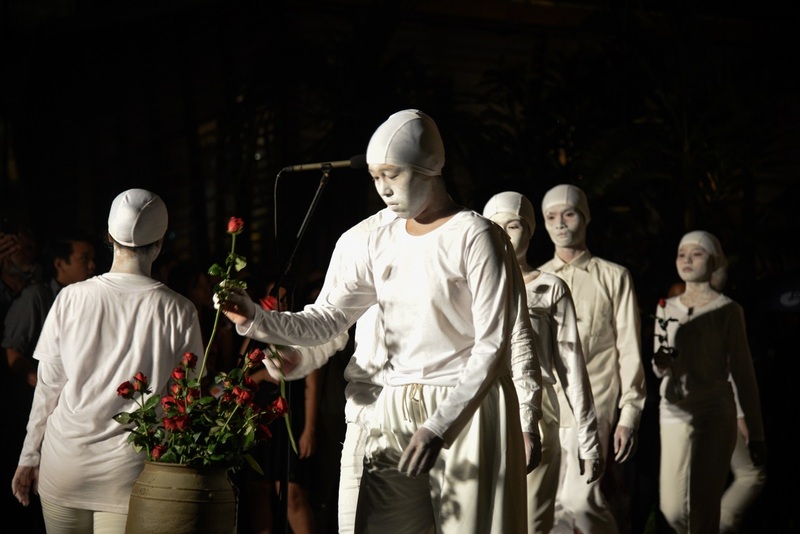 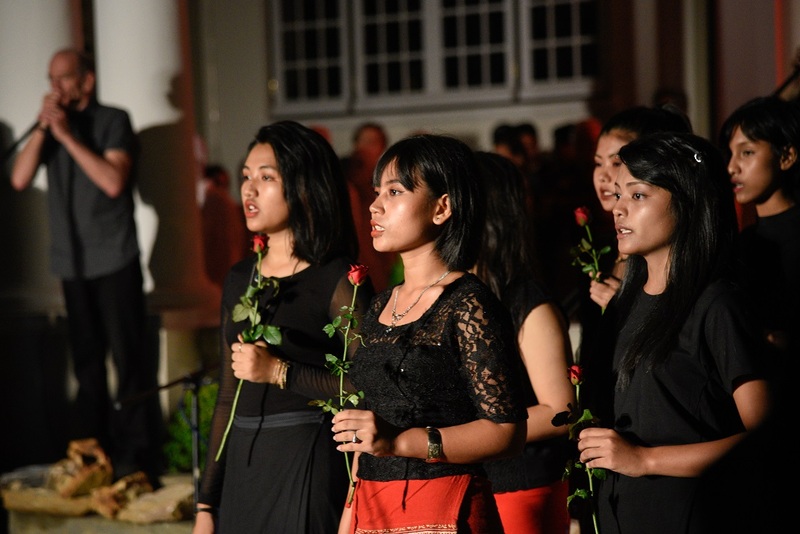 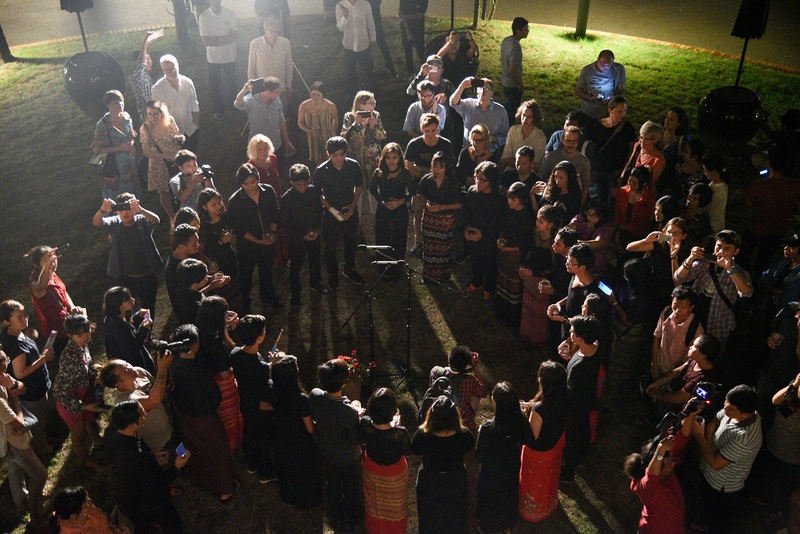 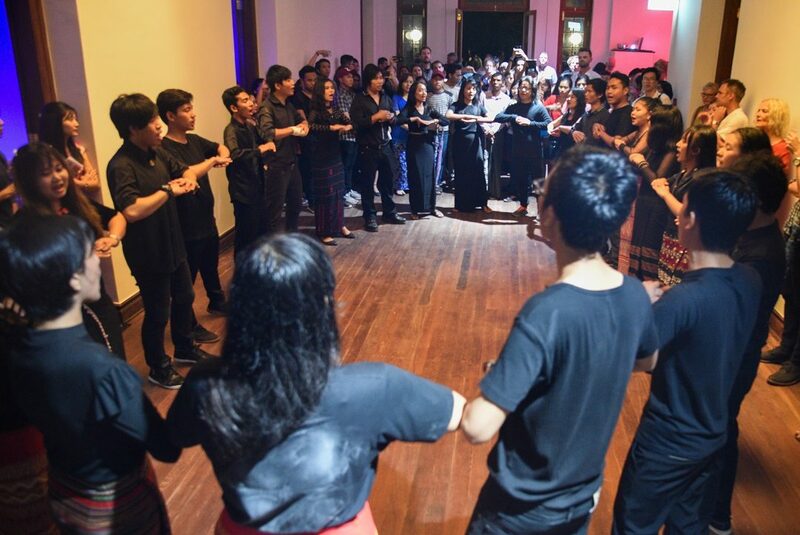 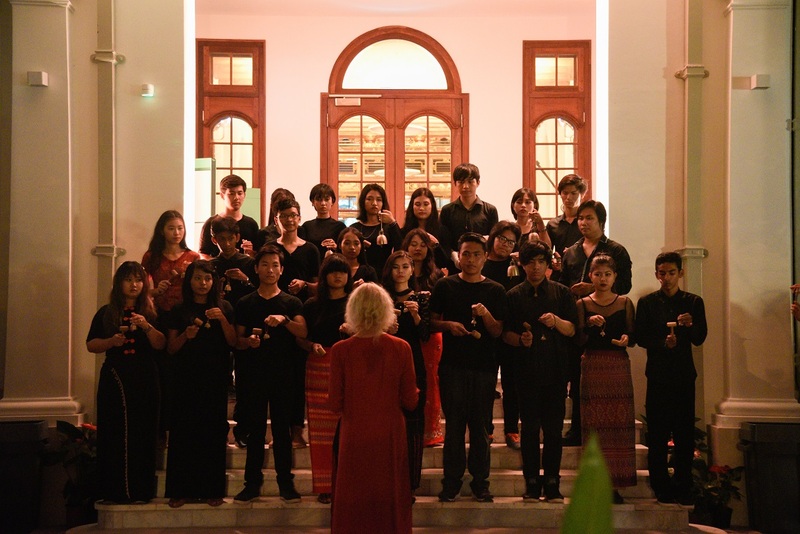 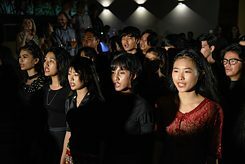 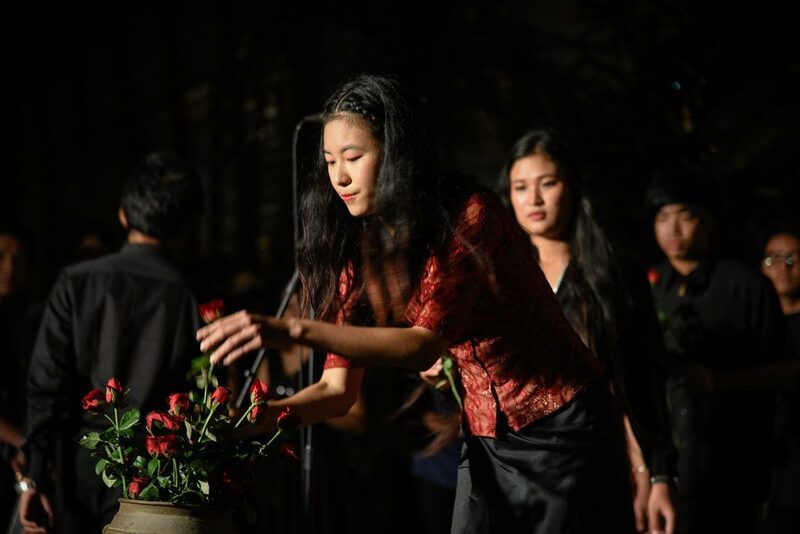 Yielding a turn-out of up to 800 people to bear witness to the crowning of the new villa, sound artists from all over the world, together with the young Burmese choir and dancers of the Yangon MEBC, revived the Goethe Villa as a place of extraordinary cultural encounters. Creator, composer and artistic director of the evening’s musicArt compoVision “The Re-Vibrating Goethe Villa” was Sigune von Osten, world-renowned singer, composer and stage director of major international music festivals. 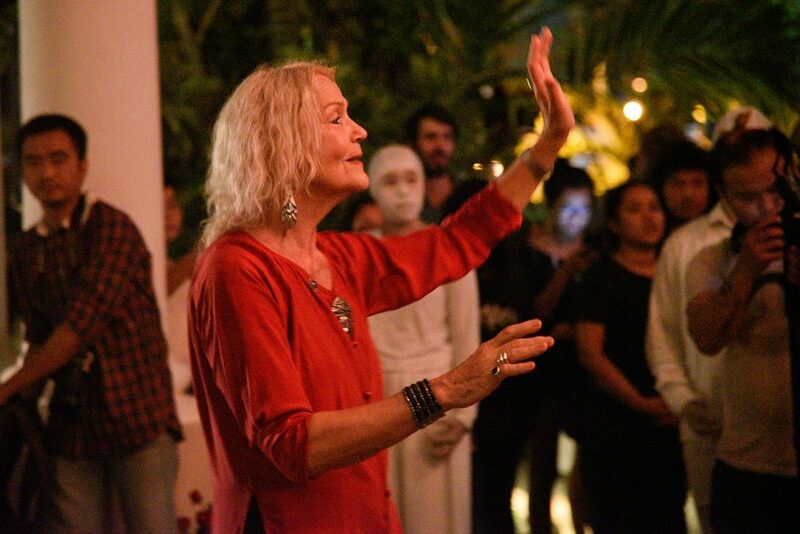 Along with a number of her international artist friends and their bizarre instruments, she has made the inaugural evening an unforgettable experience. 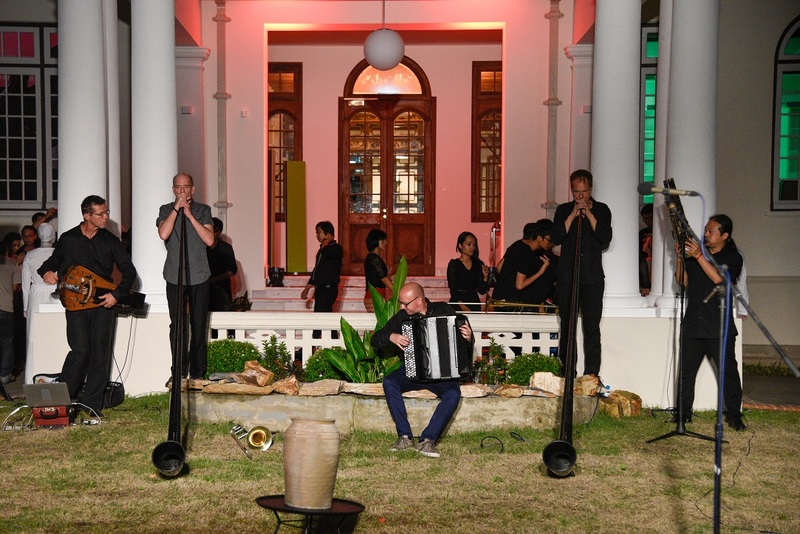 In the open air were the Swiss virtuoso jazz musicians Robert Morgenthaler and Jean Jacques Pedretti with their alphorns, trombones and conches. On the villa’s second floor, France’s contemporary music pioneer Pascal Contet played his accordion alongside Austrian musician and composer Matthias Loibner with his electro-acoustic hurdy-gurdy. 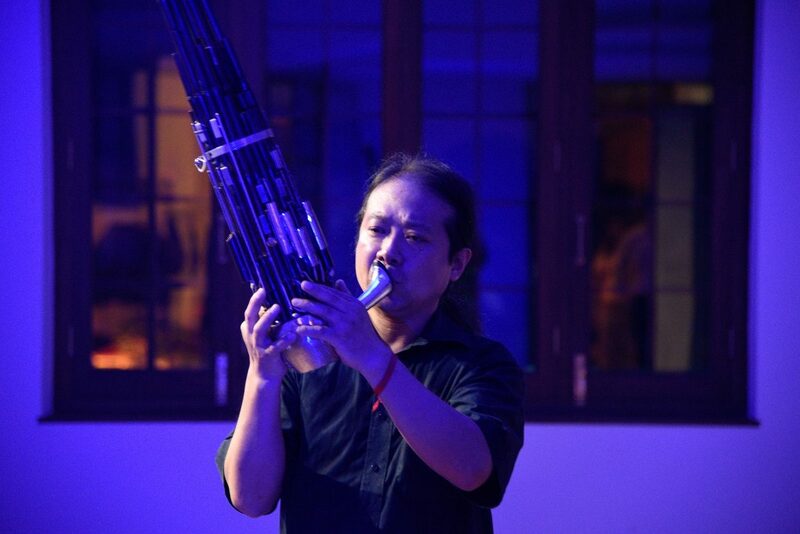 Also, Asia’s renowned musician Wu Wei, who recently premiered as China’s best sheng player, brought his exotic instruments sheng, erhu, bawu and xun to the villa. 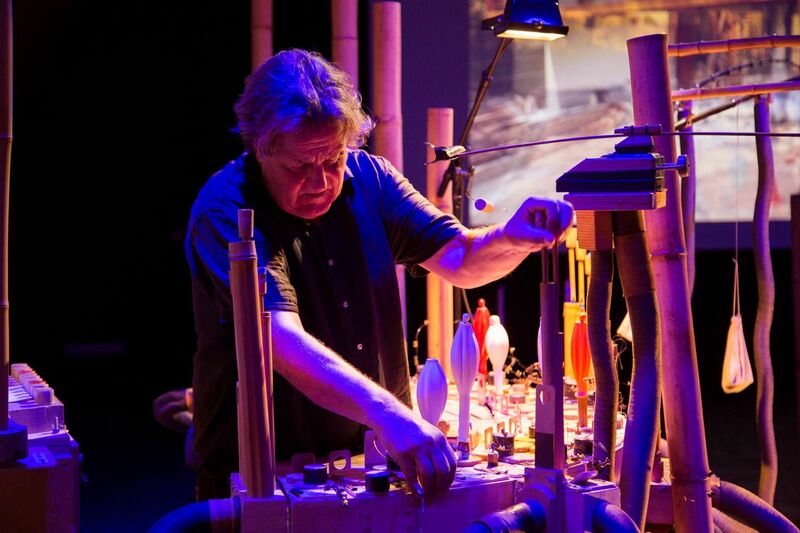 Meanwhile in the new auditorium, you could hear the echoing whistles of the Dutch artist Hans van Koolwijk with his Bambuso Sonoro, a sound sculpture like a bamboo organ, designed and played by himself. 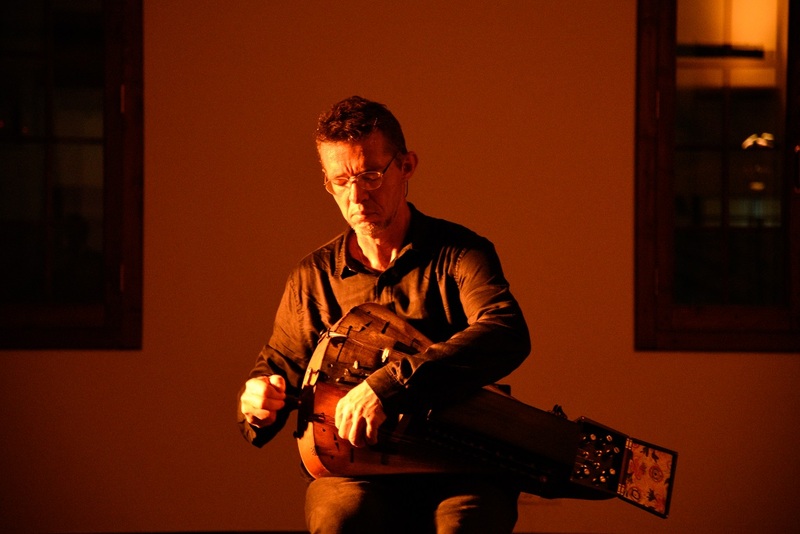 The sound director Sebastian Rietz from Germany took care for a beautiful and harmonious mixture of live music and sound installations. 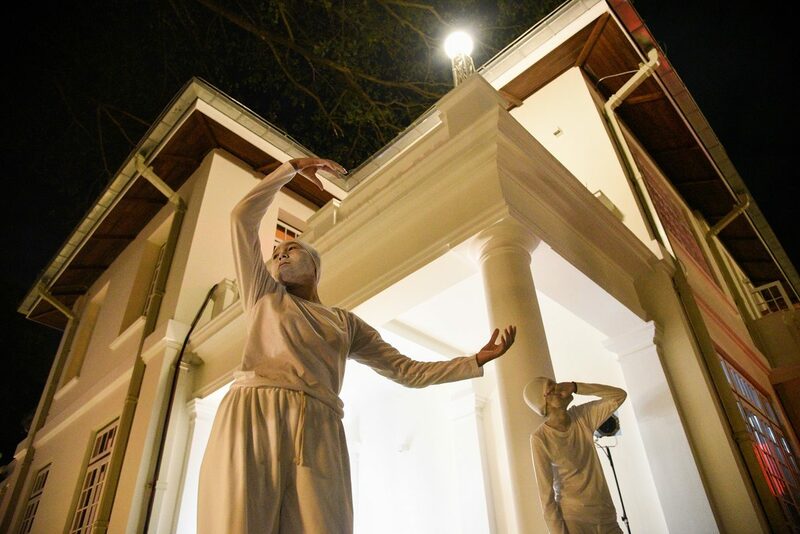 © Thet Htoo As you browsed the villa’s buildings you would occasionally find yourself bumping into Geraldo Si, Brazilian Dancer and choreographer with the young dancers of the MEBC performing sequences that guided visitors through the evening and the buildings. 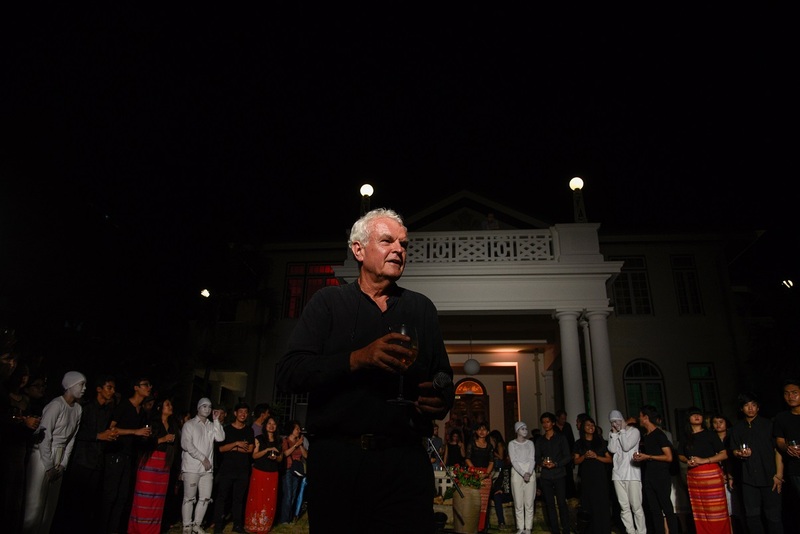 Finally the Czech light designer Martin Mulik lit this magical evening ablaze with colourful lights all around to set the mood. The evening of “The Re-Vibrating Goethe Villa” proudly served an extraordinary event of musicArt, the likes of which have never before been experienced in this form in Yangon. 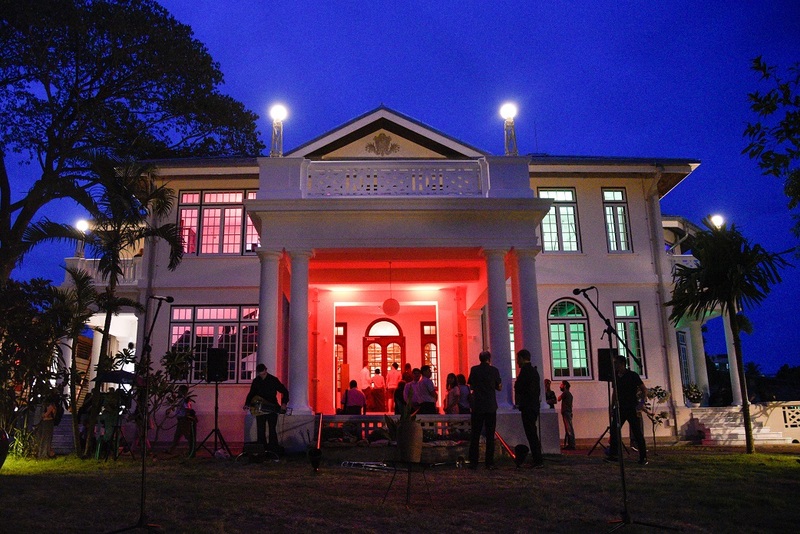 Truly an event that was chockfull of surprises and delights as we celebrated together the beginning of a life in our new home.